Gloria A. 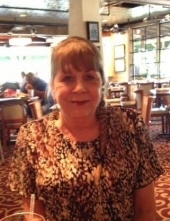 "Lana" Cumbest, 65, of The Woodlands, TX, passed away peacefully at her home on March 9, 2019 and went to be with the Lord. She was born on November 13, 1953 in Pascagoula, Mississippi to Esther Patch Cumbest and Dennis Eli Cumbest who preceded her in death. She attended school at East Central in Hurley, Mississippi. Lana was married to her first husband, Thomas "Tom" Hinton in 1972 who preceded her in death and is survived by their daughter, Farah Hinton and her husband Jody Kropp. Lana is survived by her brother Dennis Eli Cumbest and his wife Cindy Cumbest and their daughters, Courtney Mitchell, Carley Cumbest, Kaysie Strickland and their son Dennis "Tre'" Cumbest. She is survived by her sister Kay Cumbest Davis and her husband Roger Davis and their daughters Kimberly Davis Heston and Marti Davis Owens and their son Mallory Davis. She is survived by numerous aunts, uncles, cousins, nieces and nephews. Lana always made people around her laugh and made friends everywhere she went. She was immensely proud of her family. A private family celebration of life service will be held. The family appreciates all of the prayers and concerns that have been extended to us during this difficult time. The family has designated Cuba Missions/Real Life Church for memorial contributions. Information provided below. Select: Other and please designate contribution as "Cuba Missions". To plant a tree in memory of Gloria Alane Cumbest, please visit our Tribute Store. "Email Address" would like to share the life celebration of Gloria Alane Cumbest. Click on the "link" to go to share a favorite memory or leave a condolence message for the family.